One reason why mathematics enjoys special esteem, above all other sciences, is that its laws are absolutely certain and indisputable, while those of all other sciences are to some extent debatable and in constant danger of being overthrown by newly discovered facts. In spite of this, the investigator in another department of science would not need to envy the mathematician if the laws of mathematics referred to objects of our mere imagination, and not to objects of reality. For it cannot occasion surprise that different persons should arrive at the same logical conclusions when they have already agreed upon the fundamental laws (axioms), as well as the methods by which other laws are to be deduced therefrom. But there is another reason for the high repute of mathematics, in that it is mathematics which affords the exact natural sciences a certain measure of security, to which without mathematics they could not attain. 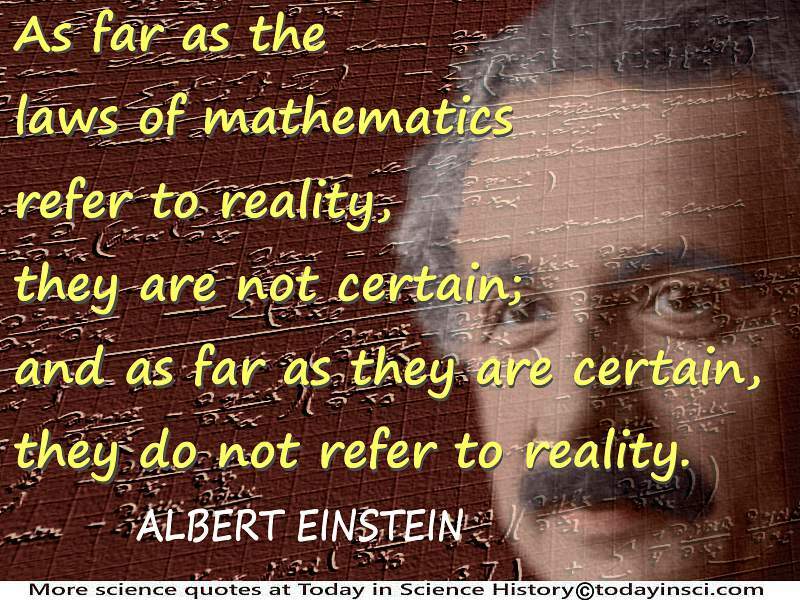 In my opinion the answer to this question is, briefly, this:- As far as the laws of mathematics refer to reality, they are not certain; and as far as they are certain, they do not refer to reality. 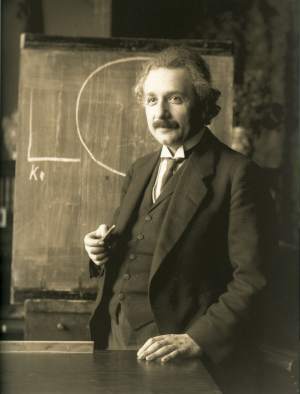 Einstein then continued with the greater part of his talk, speaking about the nature of axioms in geometry, and he distinguished “practical geometry” from “purely axiomatic geometry.” From there Einstein moved on to consider the non-Euclidian three-dimensional universe which is finite, yet unbounded, and how he used that concept in his theory of relativity.